We are on the home stretch to Christmas – are you ready? I have finally finished my shopping, mailed my last package and I am ready to relax and enjoy the season! A yummy breakfast on Christmas is one of the good things in life; however, no need for it to be time consuming and messy, because we all know that we are usually exhausted by that point! 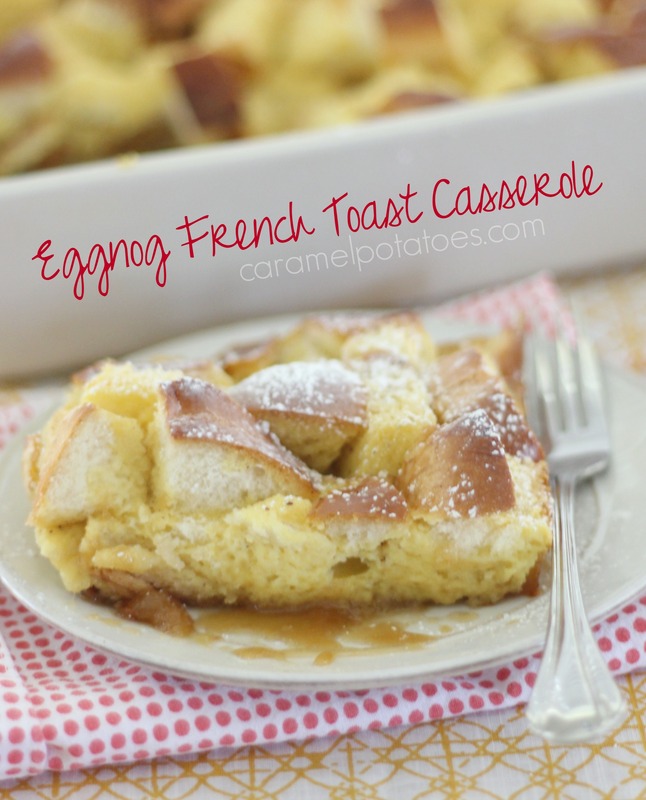 This Eggnog French Toast Casserole is a great solution. Make it up the night before and pop it in the oven while you open gifts. 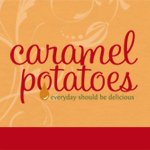 It makes its own caramel syrup so all you need to do is dust it with a little powdered sugar and enjoy! We also love these make-ahead recipes: Overnight Blackberry French Toast Casserole and Overnight Sausage French Toast Casserole. We hope you have a merry and delicious Christmas! Lightly coat a 9×13-inch baking dish with cooking spray. Heat the brown sugar, butter, and corn syrup in a small saucepan over medium heat. Cook and stir until the mixture begins to boil; remove the mixture from heat, and pour into the prepared baking dish. Place the bread slices atop the brown sugar mixture. Whisk the eggs, eggnog, cinnamon and nutmeg together in a large bowl; pour over the bread slices. Cover the baking dish with aluminum foil, and refrigerate 8 hours to overnight. When ready to bake: Preheat an oven to 325 degrees F. Bake for 35 minutes. Increase heat to 375 degrees, remove the aluminum foil, and continue baking until the the top begins to brown, 5 to 10 minutes more. Lightly dust with powdered sugar and serve hot. 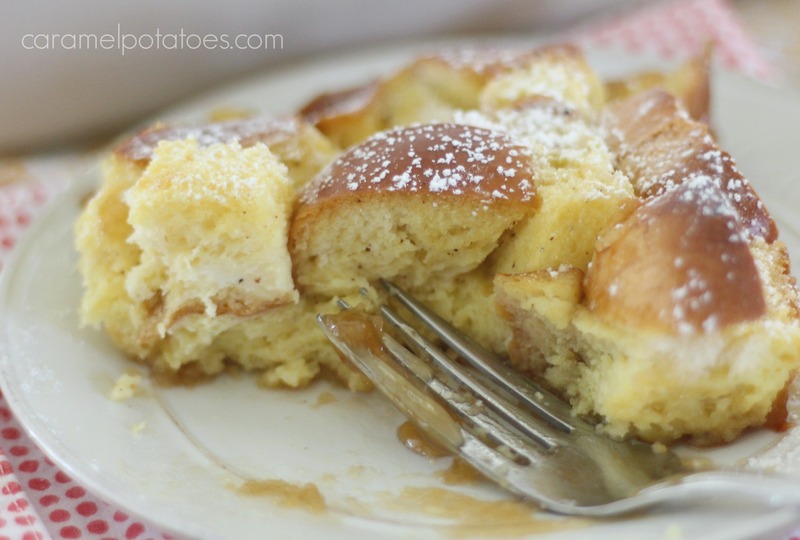 I wish it was easier to find eggnog year round so we could make this. Sounds absolutely delicious.